All three Toyota Gazoo Racing World Rally Team drivers came away from the Tour de Corse with points to their credit on Sunday. Success was hard-won in the fourth round of the 2019 FIA World Rally Championship, however, with each car suffering setbacks during the three-day event. Ott Tänak was the highest-placed Yaris WRC pilot, finishing sixth overall and adding to his points tally with second place on Sunday’s points-scoring Power Stage behind team-mate Kris Meeke. Tänak had led the event on Friday and Saturday but saw his hopes of a win dashed after losing two minutes for a tyre change. Both Meeke (9th) and Jari-Matti Latvala (10th) hit problems, the British driver suffering both wheel and suspension damage during the opening day and Latvala dropping three minutes with a tyre change. Rally Argentina takes place from 25 to 28 April, contested on gravel stages – some soft and high-speed, others featuring rocky mountain tracks. Don’t forget to subscribe to our YouTube channel, follow us on Twitter and LinkedIn - why not like our pages on Facebook and Instagram, too? We will keep you up-to-date with all the latest Toyota Motorsport Toyota Gazoo Racing World Rally Team news! 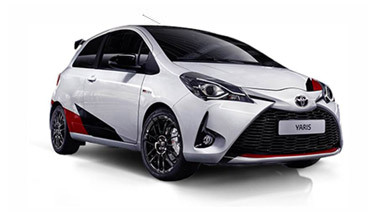 If you are interested in any new Toyota model, Farmer & Carlisle Leicester & Loughborough have some excellent value contract hire, leasing, finance and outright purchase offers. We have many vehicles available for test drive and offer free of charge nationwide UK delivery for all lease clients – find out more and discuss your requirements by clicking here or call the Fleet team on 0116 285 2851 today!